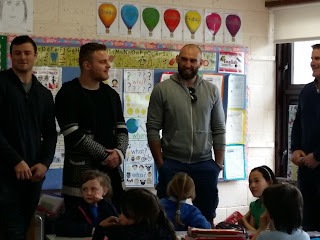 Some of the Connacht rugby players visited us in school today. We are using (and loving!) 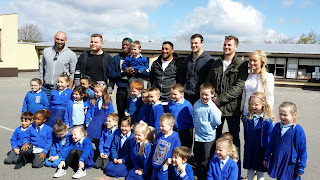 GoNoodle - a fun and free website that helps get the wiggles out. GoNoodle.com has hundreds of movement games and videos that get kids dancing, running, jumping, stretching, deep breathing, and more. After the kids take a quick activity break with GoNoodle, they're able to really focus on learning. Pick "Parent or Kid" and create accounts for each of your kids!